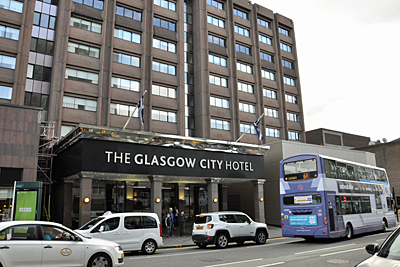 The 89th RSGB AGM was held in Glasgow. 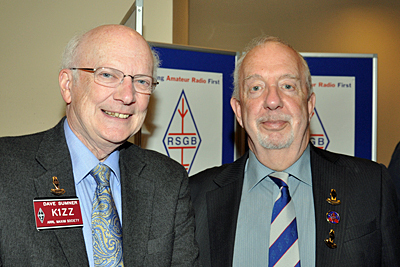 Surprise attendee at the RSGB AGM in Glasgow: the recently retired Dave Sumner K1ZZ, together with Colin G3PSM. Eyes down for the AGM: Steve M1ACB (incoming RSGB General Manager), John G3WKL (outgoing RSGB President), Graham G4FSG (Chairman), Graham G0NBI (retiring General Manager) and Rupert G3KKT (RSGB Company Secretary). 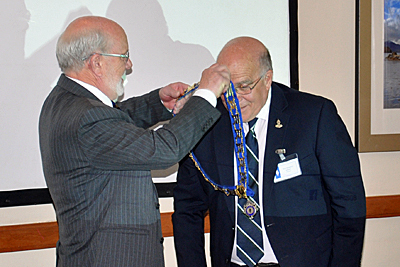 Outgoing RSGB President John G3WKL transfers the RSGB Presidential chain of office to the incoming RSGB President : HF Contester and DX-peditioner Nick G3RWF. 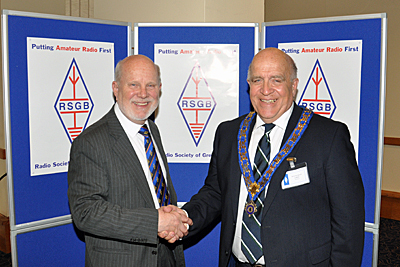 Outgoing RSGB President John G3WKL congratulates the new RSGB President Nick G3RWF. 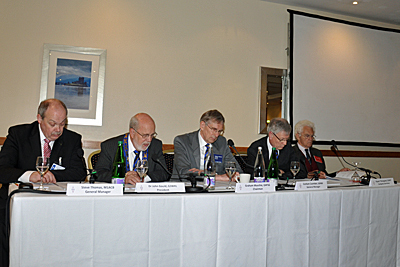 RSGB Presidents currently have a two-year term of office. 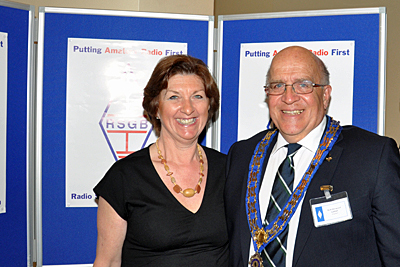 Peter Dodd's (G3LDO) xyl / widow attended the RSGB AGM in order to receive an RSGB award on behalf of her late husband for his contribution as a prolific author on antennas. 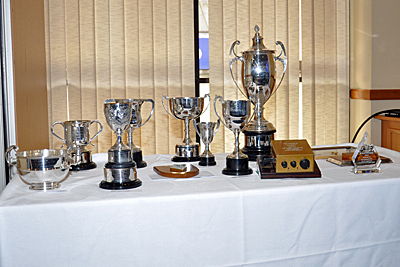 Numerous RSGB awards and trophies were presented after the AGM. 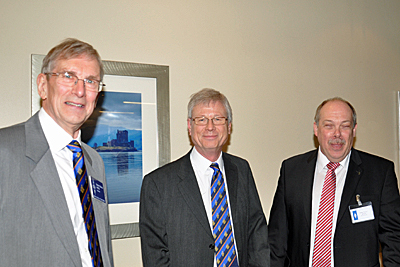 Graham G4FSG (Chairman), Graham G0NBI (retiring General Manager) and Steve M1ACB (incoming RSGB General Manager). 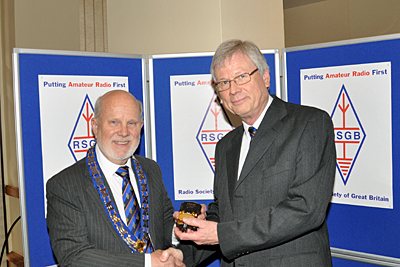 RSGB President John G3WKL presents an award to Colin G3PSM. 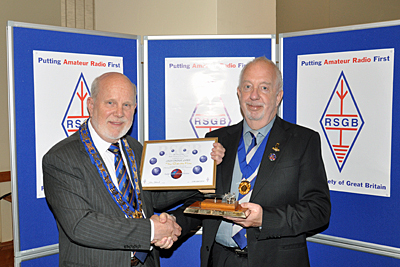 RSGB President John G3WKL presents a custom-make Begali paddle to Graham G0NBI after his four years as General Manager.